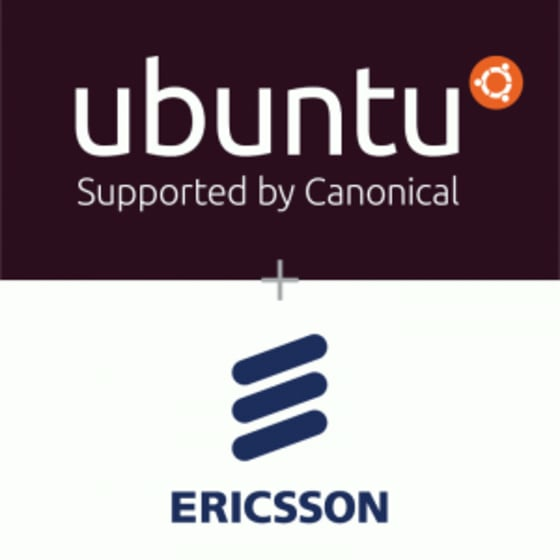 Canonical, the company behind Ubuntu, today announced a three year partnership with Ericsson (NASDAQ:ERIC), a world leader in communications technology and services, to drive innovation around IT cloud and telecom cloud solutions, the latter in line with OPNFV. The move will help both organizations respond to increasing demand from telecoms companies and enterprises for more flexible, scalable options to meet the ever-growing appetite for new services. Under the terms of the partnership, Ericsson will deploy Ubuntu as the host OS for Ericsson’s Cloud System platform. Ubuntu Server OS will underpin Ericsson’s offering for its telecommunications network, internal data center and cloud computing customers; giving customers the choice and flexibility they’ve been waiting for, and assisting the global adoption of OpenStack-based cloud technologies. Communication companies are exploring the benefits open source-based clouds can bring to NFV (Network Function Virtualization) projects. Recent studies have shown that 90+ percent of telecommunications operators plan to deploy NFV to modernize the way telecommunications networks are built and operated. OPNFV has established itself as the platform of choice for NFV workloads. Currently, Ericsson networks bear 40 per cent of the world’s mobile traffic and connect more than 2.5 billion subscribers globally. The focus of OPNFV is to reduce the estate of hardware platforms in order to dramatically reduce operational expenses, reduce power usage, and create greater flexibility to grow or scale-down to better mitigate market volatility. According to Ericsson, the partnership will enable them to meet these goals while helping customers bring exciting new services to market more quickly. Ericsson chose Ubuntu Server OS as the host OS for its Cloud Execution Environment, a core component of the company’s cloud infrastructure, based on Ubuntu’s demonstrated leadership, innovation, and performance as the market’s number one choice for scale-out cloud platforms. The partnership will see Ericsson capitalise on its world class domain expertise and extensive global experience in telecommunications, combined with Canonical’s Ubuntu Server OS, cloud and open source expertise. The alliance will help both telco’s and IT enterprise data centers embrace cloud computing with a high performing open source solution. Working together, Ericsson and Canonical plan to align engineering, product, and go-to-market efforts to drive the adoption of OPNFV and OpenStack based cloud technologies broadly across both telecommunication providers, where support for NFV implementations is critical, and large enterprises that are seeking to deploy the latest cloud and virtualization technologies. John Zannos, VP Cloud Alliances at Canonical said: “Ericsson’s experience in telecommunications and enterprise means we can innovate together around the next generation of cloud solutions for the network. Companies are struggling to automate, reuse and simplify the deployment of applications and services on clouds, our Partnership with Ericsson will work to help customers overcome these challenges. Ericsson is the driving force behind the Networked Society – a world leader in communications technology and services. Our long-term relationships with every major telecom operator in the world allow people, business and society to fulfill their potential and create a more sustainable future. Our services, software and infrastructure – especially in mobility, broadband and the cloud – are enabling the telecom industry and other sectors to do better business, increase efficiency, improve the user experience and capture new opportunities.